I hoped for a well-plotted filmi noir story; I got a badly-plotted filmi noir story instead, but all the plot holes and suspension of disbelief requirements didn’t really matter in the face of…well, Ajit’s face! 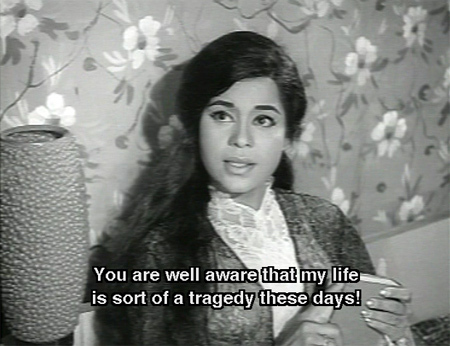 And Saroja Devi’s as well. 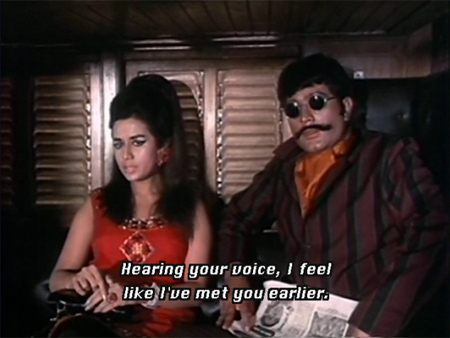 A beautiful hero and heroine, gorgeous songs, a minimal Comic Side Plot, atmospheric cinematography and KN Singh as the villain—this was entertainment enough for me. Lovely Bela Bose has a short (albeit sadly dance-free) role too! 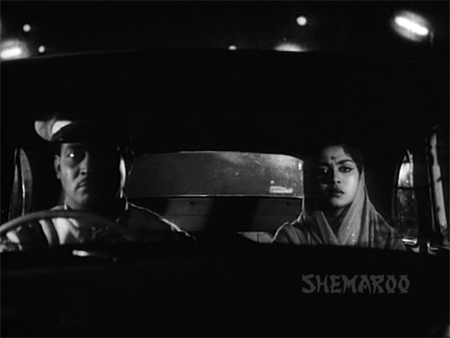 This is a terrific filmi noir murder mystery. The subtitles are excellent! The acting is first-class, the story is interesting and moves along at a good pace, and the characters and relationships draw you in and make you care what happens. And if you’ve been wanting to see Nirupa Roy as a heroine instead of a mother, here’s your chance!